Marissa Mayer is making waves in more than just business. Unless you have spent your summer beneath a rock, you know that Yahoo has chosen Marissa Mayer, formerly an executive at Google, to be the company’s new CEO. You also know that Mayer is pregnant with her first child. 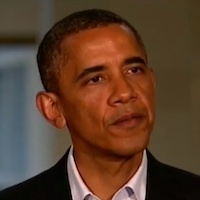 This move is being hailed as a milestone in the struggle for equal rights in the workplace. Yahoo has been doing some struggling of its own, and many observers have raised questions about whether the company will be able to survive. Perhaps a little of the Google corporate culture, along with a generous helping of publicity, looked to Yahoo like just the thing to turn things around. Whether the move will succeed in reversing Yahoo’s fortunes is still up in the air. In the opinion of many, it’s about time a company hired a female CEO who is expecting a first child. After all, companies hire male CEOs who are expecting a first child all the time. The firestorm of debate that has centered on Mayer’s ability to turn things around at Yahoo while caring for a newborn is proof that attitudes about women in high positions are still far from optimal. However, Mayer’s hiring dealt a significant blow to an ever-rising glass ceiling, and there is no doubt that it represents an enormous breakthrough for women. Recently, Facebook’s own glass ceiling challenger, Sheryl Sandberg, felt secure enough in her position to reveal that she pauses in her workday to go home and have dinner with her children every night. She didn’t continue on to tell the world that she goes right back to working from home when the kids are in bed, at the latest. That omission is significant in itself; there was no need to tell the world that she doesn’t get to settle down in the family room after dinner for a little family television or some board games. The assumption was obvious that, regardless of her gender, Sandberg is a busy executive who cannot realistically stop work completely at 5:30. There was a time when hiring a female CEO was considered impractical, since it was believed she would be unable to devote herself completely to the job once she married and had children. 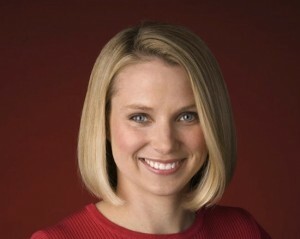 Yahoo has proven that this way of thinking no longer rules the corporate culture. However, the fact that so many people are suggesting Mayer may change her mind after the baby is born shows that those concerns are not entirely dead. When was the last time anyone worried that a male executive might change his mind about his job after becoming a father? 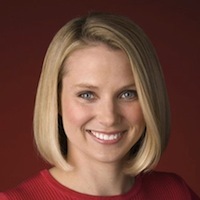 Mayer has stated that she expects to work during a brief maternity leave and praised what she called Yahoo’s “evolved thinking.” That thinking extends to a flexible schedule, a perk that is increasingly common at the very top tiers of the corporate world. It should also be remembered that, just like any male executive, Mayer can afford the best in live-in child care. Flexible schedules and excellent child care have been touted for decades as the great equalizer when it comes to accommodating women in the workplace. However, until recently, most women who received them worked in family businesses or ran their own. In recent years, though, technology-heavy industries, in particular, have become more accepting of the idea that what matters is what you produce, not producing it in a showy display of late hours spent at the office. By the time Mayer’s daughter, if she has one, is ready to take her place in the corporate world, it’s a good bet that her status as a parent will affect nothing more than the contents of the photographs she places on her desk. For those who have fought long and hard for equal rights for women in the workplace, that is a welcome realization. 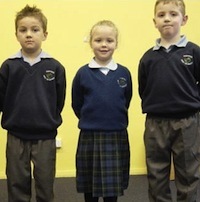 School Uniforms: Simple Solution for Better Schools or Pointless Tyranny?